Do You Like Sci-Fi/Fantasy Short Stories? 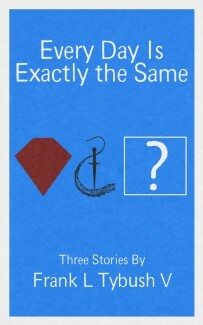 My husband’s short stories are now available on Amazon! Everyone has their demons. Some are monsters, some are events, and some are the pills you swallow every morning. Each affect you differently. Steve finds out that leaving behind his demons may not be as easy as pushing them down a bottomless pit. Atean wonders if his life is even worth living when the one he loves is dead. And Matilda finds her life hard to stomach when she stops receiving the pills she’s supposed to swallow every day.